Wasabi from Radom The Firlej family, living near Radom in central Poland, are the only producer in continental Europe who succeeded in industrial production of "Japanese radish", an ingredient indispensable in every sushi, informs Money.pl. The Firlej family, living near Radom in central Poland, are the only producer in continental Europe who succeeded in industrial production of "Japanese radish", an ingredient indispensable in every sushi, informs Money.pl. A kilogram of Firlej wasabi costs PLN 1,500. The family worked several years to master the skill of wasabi cultivation. Wasabi (Eutrema japonicum or Wasabia japonica) is a plant of the Brassicaceae family, which also includes horseradish and mustard. 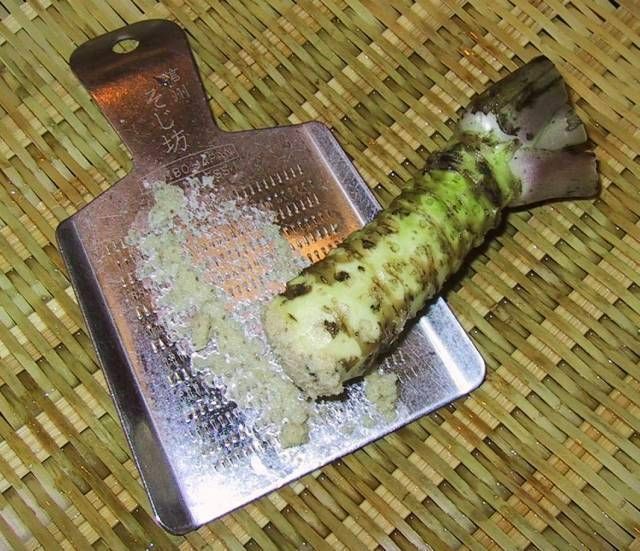 It is also called Japanese horseradish, although horseradish is a different plant. As a matter of fact, it is most commonly used to counterfeit the real wasabi. Wasabi, the stem of which is used as a condiment known for its extremely strong pungency. The plant grows naturally along stream beds in mountain river valleys in Japan. The vast majority of powdered "wasabi" sold outside of Japan, and even in Japan itself, is counterfeit. - In general, all pastes or powders available in stores have little to do with real wasabi. Starting from the taste, consistency and ending with the color, which in the case of freshly grated pastes should be dark green, light green or yellow. Not to mention the healing properties that only fresh wasabi provides - says Agnieszka Firlej from the family company Wasabi Farm Poland. Wasabi is one of the most difficult crops in the world. It requires very specific conditions. It grows best in stream beds, at moderate temperatures and in a specific type of soil. It is not possible to transplant it to ordinary beds. It is bred in Japan and several other places in the world. There are two sites of cultivation in Europe - one in the British Isles, the second and the only one in the continent - near Radom.